This is an early jar by Jody Naranjo is from 1990. 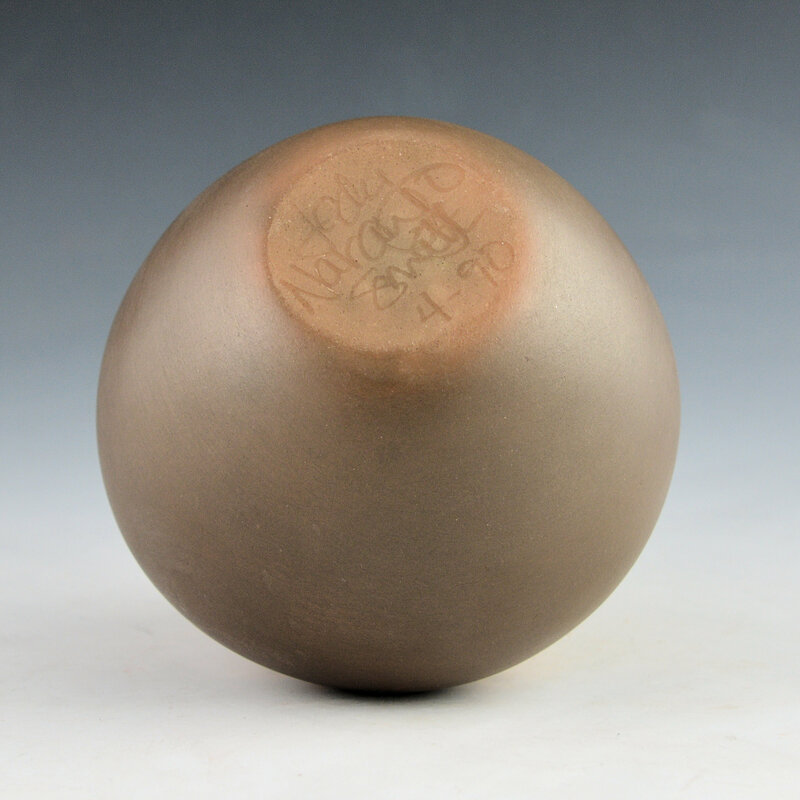 It is highly polished to the shoulder and matte below. The top part is etched with eight flute players as the design. The background matte area is also designed with linear patterns. 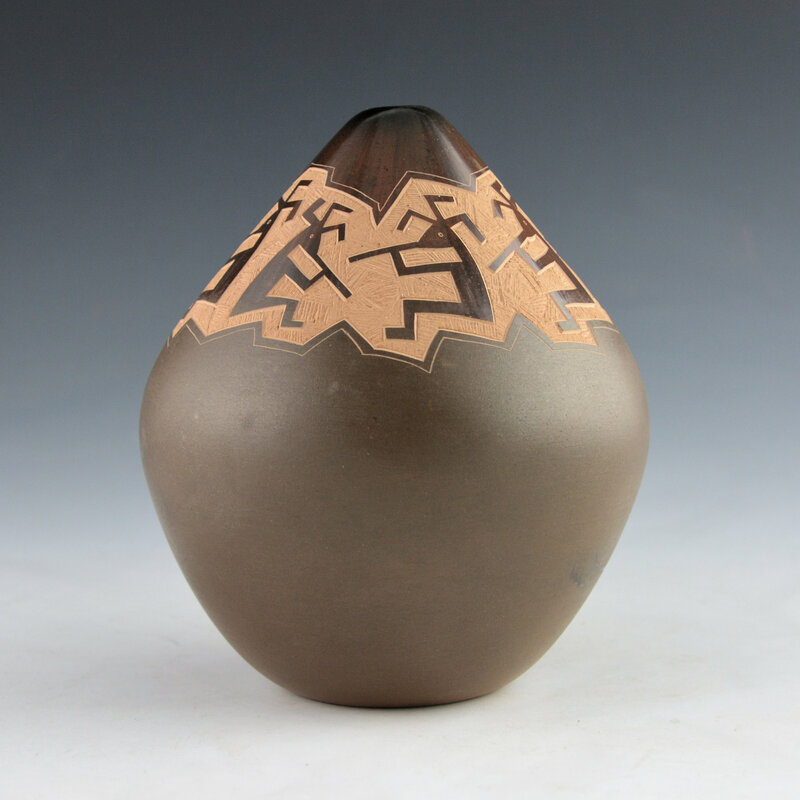 The jar is outdoor fired to create the coloration in the clay. 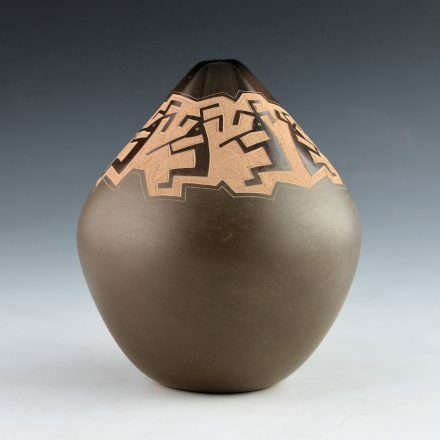 The jar is signed, “Jody Naranjo” and it is in excellent condition with no chips, cracks, restoration or repair.